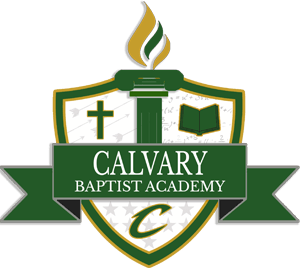 Calvary Baptist Academy, in partnership with Louisiana Tech University, is pleased to provide an opportunity for qualified students to earn college credit while enrolled in high school courses. Accumulate college credit while receiving the support of CBA dual enrollment teachers, counselors, and administrators. Potential to graduate from college earlier and at a lower total cost. Students that receive dual enrollment credit at CBA will be able to concentrate on other core curriculum courses their first year in college. With the uncertainty of Louisiana TOPS funding, this is a great opportunity to receive college credit at a considerable discount. Application Fee – all dual enrollment students are required to pay an annual $20 application fee to Louisiana Tech. If seniors choose to attend LA Tech for college after high school graduation, they are not required to pay a second application fee for admission to LA Tech for their freshman year. Tuition – a discounted rate of $150 per three credit hour courses will be charged and paid to LA Tech. Regular tuition for the three-credit hour course is $926 – savings of $776 plus cost of books. Additional Costs – additional costs are subject for individual courses for required recourses (ex. software, course packet). * It is recommended that students begin taking the ACT during their sophomore year to work towards achieving the requirements for dual enrollment by 11th grade.